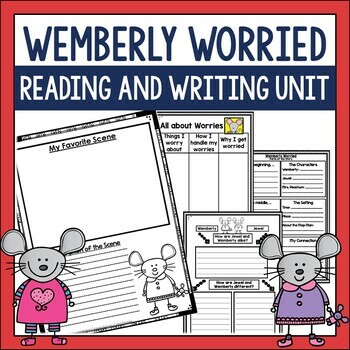 This unit include before, during, and after activities focused on Wemberly Worried. 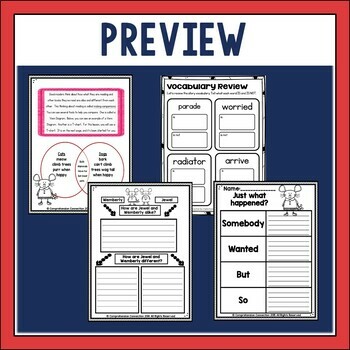 Skills addressed through this unit include schema building, vocabulary, story elements, summarizing,, making comparisions, writing about reading, question task cards, and a final class book projectt. 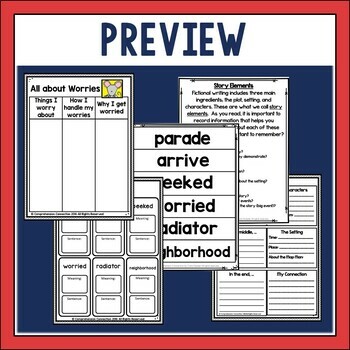 This unit can be purchased individually or as part of my Kevin Henkes author study at a discounted rate. The author study includes Lilly's Purple Plastic Purse, Owen, Chrysanthemum, A Weekend with Wendell, and Wemberly Worried. Update completion due September 15. This 17 page unit is intended to last a week. Be sure to check out the preview images for a detailed look at all that is included.